The E-Pace is the latest offering from Jaguar, a small cross-over most people think is an electric vehicle because of the “E” in front of the “Pace”. I thought it was an EV as well when I first heard of it, put I had it confused with the I-Pace. The E-Pace competes with vehicles like the Audi Q3, BMW X1/X2, Volvo XC40, and Mercedes-Benz GLA. It is a smaller version of the popular F-Pace, a vehicle I reviewed last year and really liked everything about it. Can the E-Pace live up to the sportiness of the F-Pace, find out below. 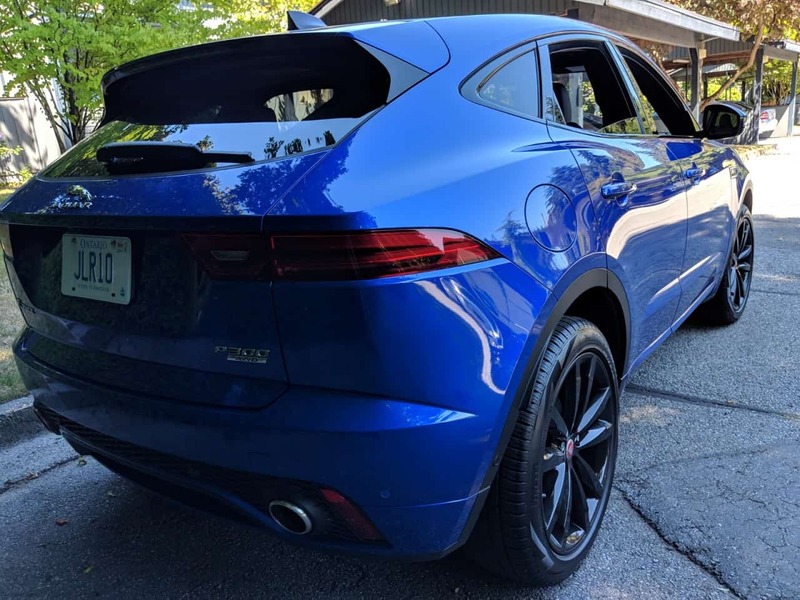 Our review car for the week was the 2018 Jaguar E-Pace R-Dynamic S P300 with a price tag of $64,110, including $1,600 for destination and $11,510 in options. Some of highlights from the options list include $1,980 for the leather package, $1,020 for the 18-way fronts seats and heated front and rear seats, $410 for red brake calipers, $2,650 for 20” wheels, $620 for the passive key system, $1,180 for the panoramic fixed roof, $510 for the black contrast roof, $570 for the TFT virtual instrument cluster, $260 for the Black Pack (blacked out exterior trim), $970 for Drive Pack (includes intelligent emergency braking, adaptive cruise control, and blind spot assist), and $670 for Cold Climate Pack (includes heated washer jets, heated front windscreen, and heated steering wheel). As you can see, prices can creep really quickly if you start ticking all the option boxes. The E-Pace is offered with one engine choice, but it comes in flavors. They are both turbocharged 2.0 liter 4-cylinder engines, in the P250 trim it produces 246 horsepower (250 PS, hence the name) at 5,500 rpm and 269 pound-feet of torque between 1,200 – 4,500 rpm, with a 0 – 100 km/h time of 7.0 seconds. In the P300 trim, the engine produces 296 horsepower (300 PS) at 5,500 rpm and 295 pound-feet of torque between 1,500 – 4,500 rpm, with a 0 – 100 km/h time of 6.4 seconds. All trims come with AWD in Canada and come with 9-speed automatic transmissions. Like all Jaguar vehicles, the E-Pace has an emphasis on sportiness. Like the bigger F-Pace, the E-Pace is a lot of fun to drive. It drives more like a car than a cross-over, it basically is a higher hatchback, which most CUVs are nowadays. The steering and suspension are tuned for cornering and things tighten up when going from “Comfort” mode to “Sport” mode and the most fun mode of “Dynamic”. The 2.0 liter engine does a good job of propelling the E-Pace in the city, it has enough power for normal city driving and in the Dynamic mode, it’s quite fast. On the highway, the engine needs quite a bit of motivation to get to passing speed from just cruising. It has passing power, once the transmission has moved down enough gears, if you want instant passing power, then you need to have the car in Dynamic mode with the transmission in Sport mode. In these two modes the car is quite fast, but overall the engine really does have to work hard to get all the power out to the wheels. According to Jaguar, the E-Pace P300 should consume 11.0/8.4/9.8 L/100 km in city/highway/combined driving, on premium fuel. Unfortunately, I didn’t even come close to achieving these numbers, and I didn’t even drive the E-Pace hard. For city driving, I was getting anywhere between 14 – 14.5 L/100 km and on the highway, I was averaging around 11 L/100 km. A lot of the styling on the 2018 E-Pace is borrowed from the F-Pace, just on a smaller scale. 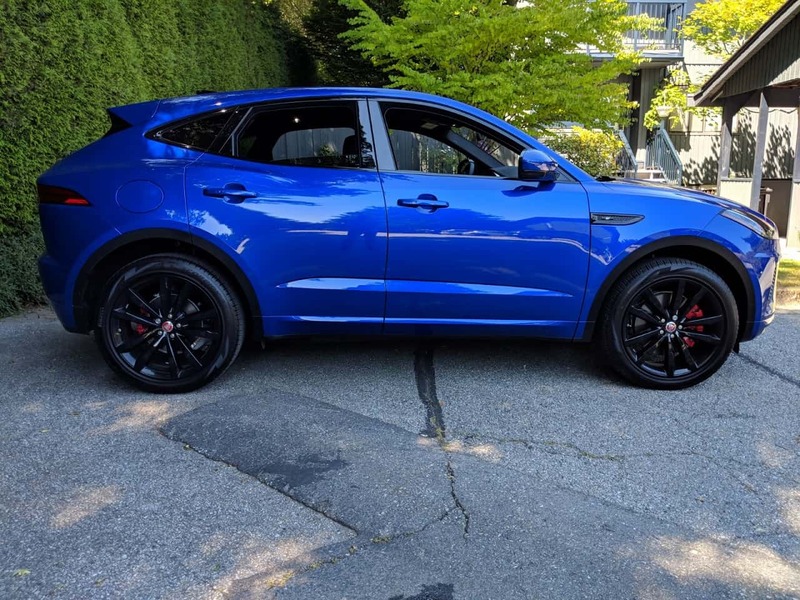 I really liked the F-Pace, so I like the overall look of the E-Pace; it looked especially good in the bright blue paint with the black-out treatment and the big 20” wheels. 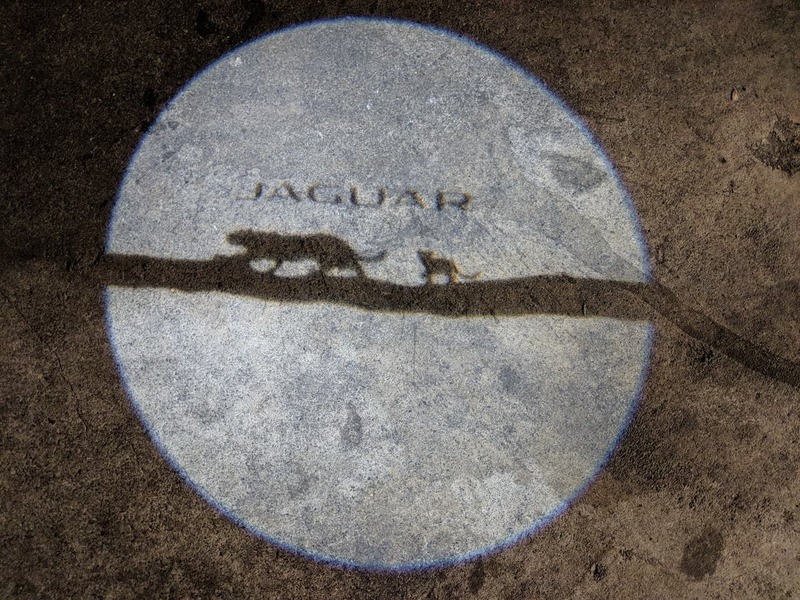 Jaguar has put a couple of Easter eggs in the styling of the E-Pace, a mama and baby cub (jaguar of course), one is hidden at the bottom left part of the windshield and the other is shown as shadow in the approach light, which is display on the ground, see picture on the right. The exterior on the E-Pace looks like the F-Pace, so you’d think the interior would also be similar but that’s not the case. 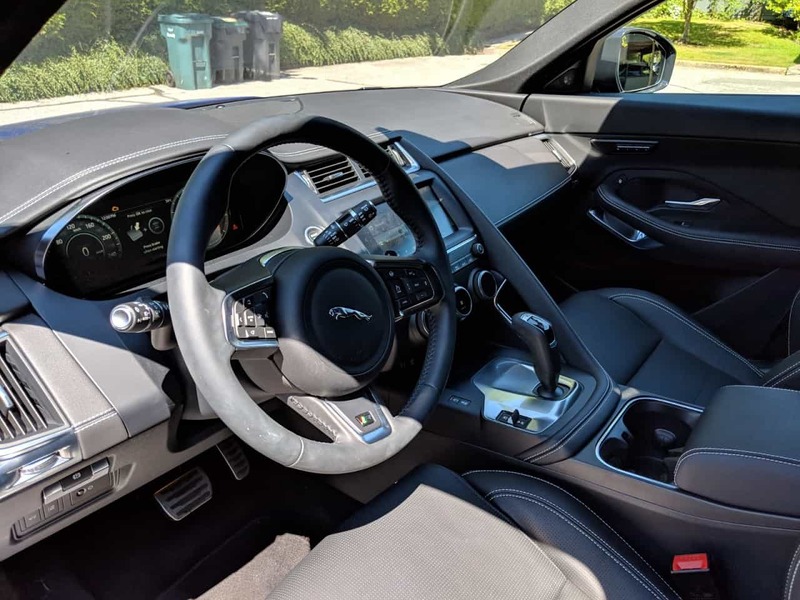 The interior on the E-Pace looks very similar to the F-Type sports car, which is a good looking interior in my opinion. My favorite part of the interior is the three knobs in the center stack, which control the fan speed and temperature for the HVAC system. Above this section is the wide 10” infotainment screen, which is pretty responsive and has a very crisp display for all the graphics and the rear camera. The optional 12” TFT screen in the gauge cluster has very crisp graphics as well and it can be customized to show different outputs like navigation direction, in addition to the standard speedometer and tachometer. 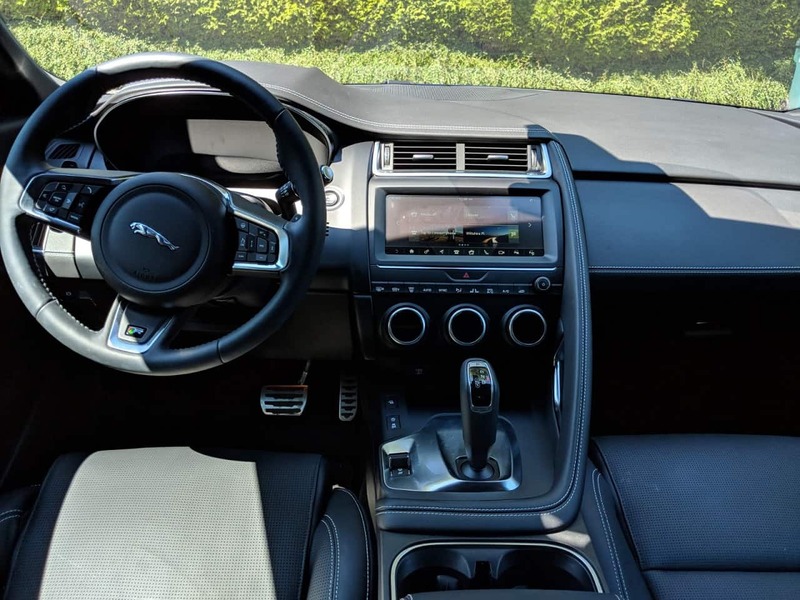 The E-Pace is Jaguar’s entry level SUV/CUV and the interior material shows that, there are plenty of soft touch materials, but you can tell it’s not the most expensive material. There is a good amount of passenger space for the front and rear occupants, it may be a small cross-over, but I found it to have a good amount of leg and head room in the front and the back. The trunk has a decent amount of room, but I couldn’t fit a folded stroller sideways, had to put it in slanted as the rear cargo areas wasn’t wide enough. 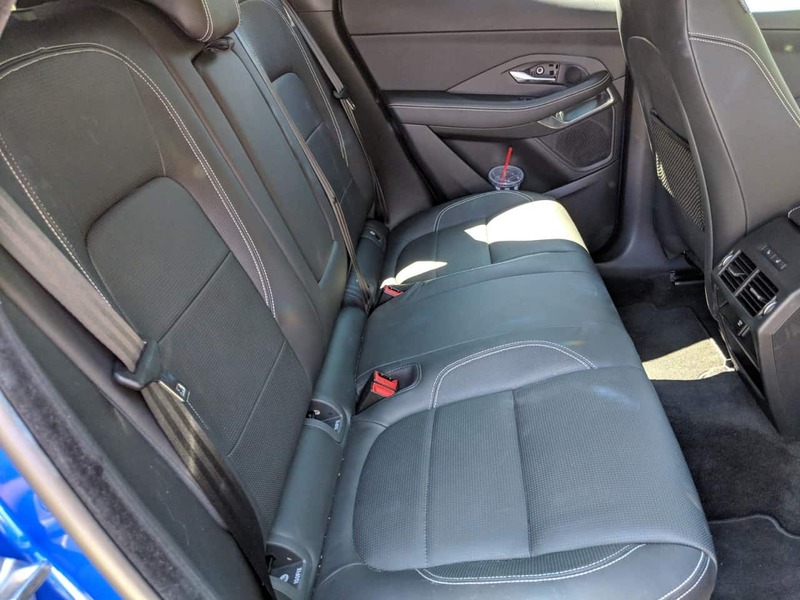 There is a good amount of room for putting stuff that’s not as wide as a stroller and with the rear seats folded down, you then get a lot of room for bigger stuff. The trunk has a couple of tiedown hooks to hold things from rolling around. Visibility is good through the side windows, but the rear view is very limited due to the small rear glass, but the E-Pace does come with a backup camera, so it helps. I did find looking at the infotainment system a bit hard on sunny days, especially when the sun was at its peak. Also, around the same time of the day, the aluminum trim around the gear lever gave off a pretty bad reflection that caught me off guard a few times. The E-Pace may be small, but it can be packed with the latest gadgets/tech/convenience features we’ve come to expect from modern vehicles, features like Heads-Up display, adaptive cruise control, emergency braking, lane keep assist, blind spot monitoring, automatic parallel and perpendicular parking, 360 surround camera, front and rear parking aid, LED headlights and taillights, and remote keyless entry/start. 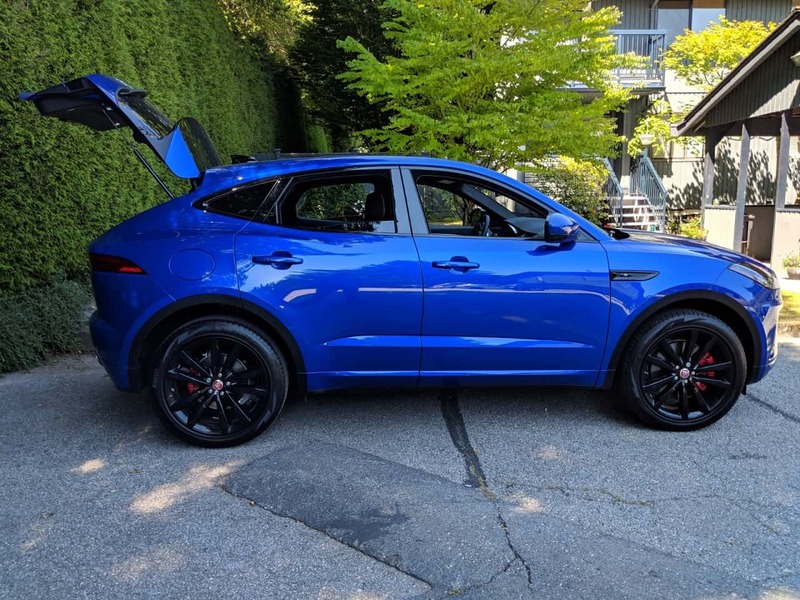 I had fun driving around in the 2018 Jaguar E-Pace, it is a small cross-over, so it may not be for everyone, but that smaller size does make it fun to drive. 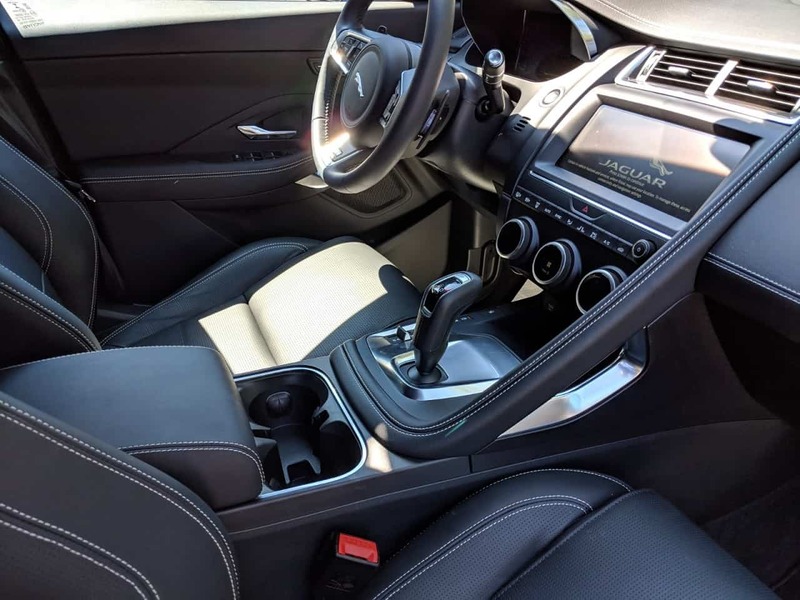 It’s a pretty comfortable vehicle with a good amount of space and it can be packed with all the latest gadgetry we’ve come to expect from modern cars. However, it can get very expensive once you start ticking all the options boxes. 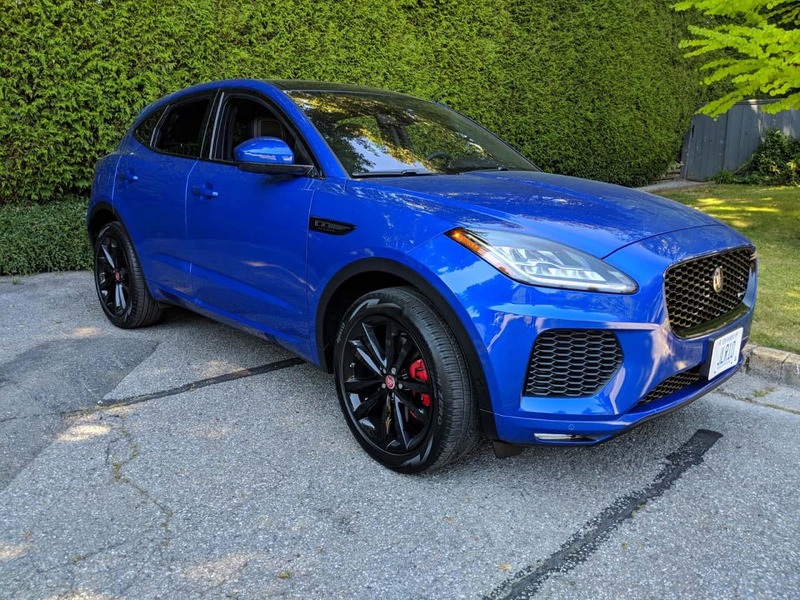 For more information on the 2018 Jaguar E-Pace and other Jaguar vehicles, visit jaguar.ca.